Hi guys, just thought I'd send you through a photo of the best fish I got up at the eucambene on the weekend. Managed to spot him behind a rock, which also conveniently hid me from view! After about a dozen casts (with a 3/16 tungsten weighted #8 hares ear) he eventually sipped it and came in after a shortish rolling fight. Got some more the next day blind fishing ranging from 2 to 5 pounds, including a fat rainbow, most on a glow bug of the end of the big nymph. then headed home early and happy. 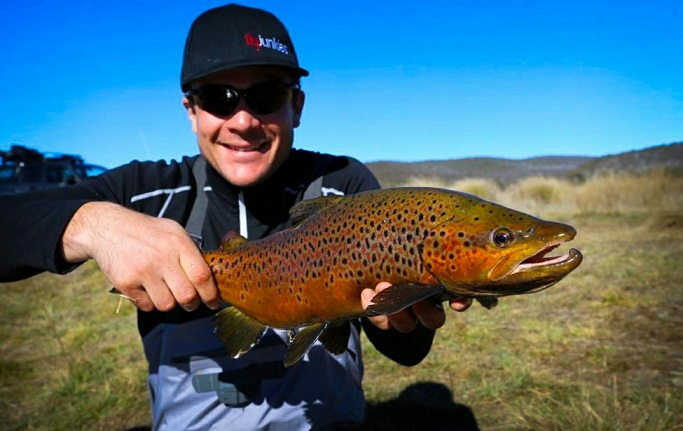 River Flyfishing....fishing has picked up Eucumbene up past providence this weekend we will see more browns going up so if you are looking for that big one this is the time to be up there the river is running ok but still need more rain. Best areas on the river is the Mouth up around the old bridge most fish are in the deep holes. 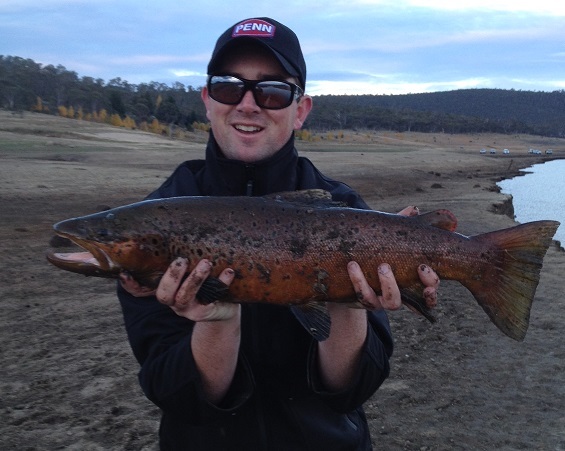 Most off the Eucumbene is fishing well so by this weekend you should start seeing more fish up around Kiandra. 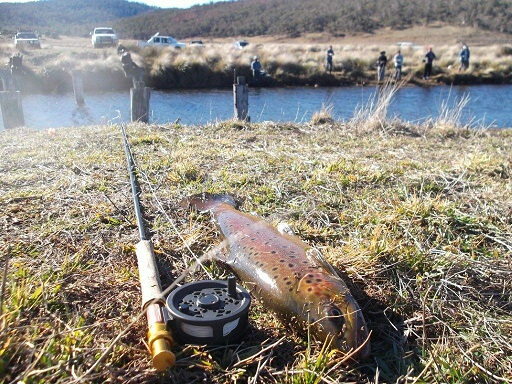 The Thredbo river is fishing well down below the bridge and up around the hatchery reports from the Ski tube are slow. 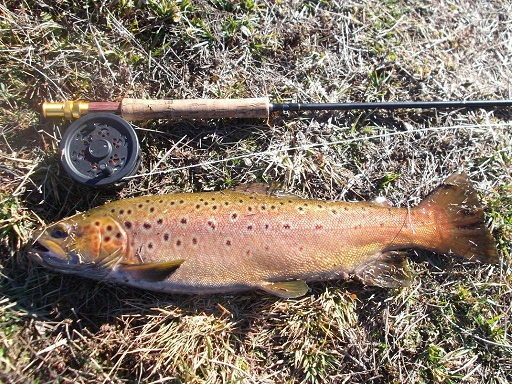 Up at Island bend there has been some good reports so if you want to get on to some good browns this is the place. Down around the snowy mouth the fish are still hanging around the mouth waiting for some rain to get the river flowing but if you like to walk up the river you will get some good results. Remember the River is for everyone we only have a short time before they close so Just try to say G-day and how ya going it makes a big difference. 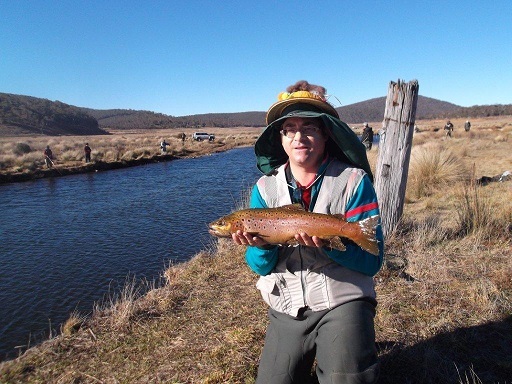 7.4lb Brown caught and released in the Eucumbene River by Fraser Perry. 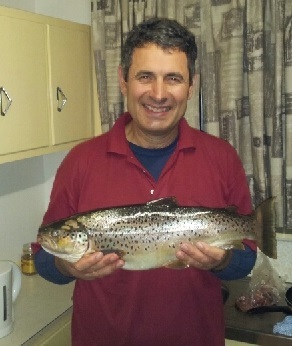 6lb Brown caught and released in the Eucumbene River by Pier Nissotti. Fishing was ballistic. I am waiting on picture of my biggest fish - 6.5lb and 62cm long - a personal best. Landed 4 like this and hooked twice as many ! Took one home - a small one 55cm ! Seeing schools of trout getting ready for spawning was amazing. The hat is a "honour" I was awarded on Saturday night was forced to wear it on Sunday - didn't affect the fishing ! 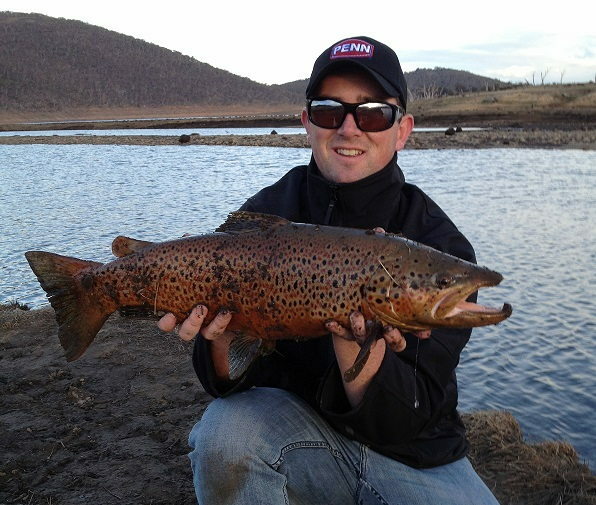 Lake Jindabyne:- Reports from Jindabyne have been picking up with some good fishing around Kalkite, snowy arm, down around the dam wall and aroud the snowy arm. Intermediate fly line have been getting good results with a slow retrieve. Best wet flies are large fuzzys, woolly buggers, and Mrs Simpsons the bigger the flies the better get away from your small Nymphs and other small wets if you have a intermediate line go for it. It’s been working well. Daytime fishing has generally been the best with the evenings and night time fishing a little slow. Bead head nymphs and woolly buggers fished slow and deep have been the best fish takers of late. There have been some nice rainbows being caught for those who put a bit of time in. With the cooler weather moving in the fishing should start improving. At night time that’s if you can man up and handle the cold try a Intermediate line with a glow baby doll dropper with a large with wet fly this rig is working well around deep rocky points. 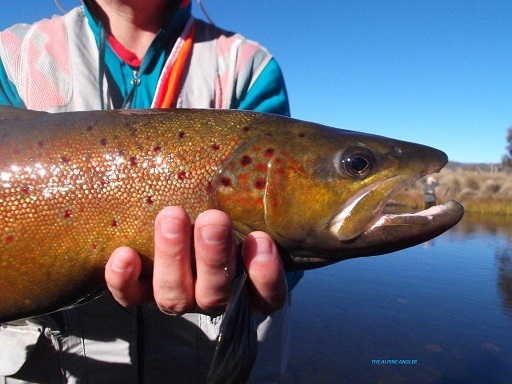 There has been some good Browns around Providence, Anglers Reach Woolly buggers have been working well and black B/H Nymphs are keeping the big fish interested. 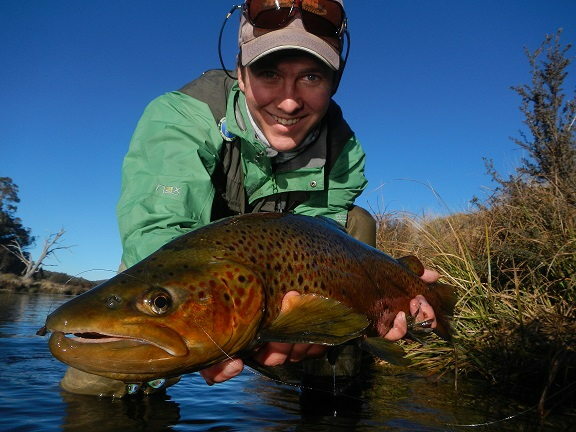 have been getting good reports on the fly with intermediate and sinking lines have been doing well. Yes the reports have been slow and fisherman not doing so good so change what you are doing and get down to where the fish are you will find the results a lot better on a sinking line. with some good rainbows Best lures have been Blades, Tisans, Min Mins. 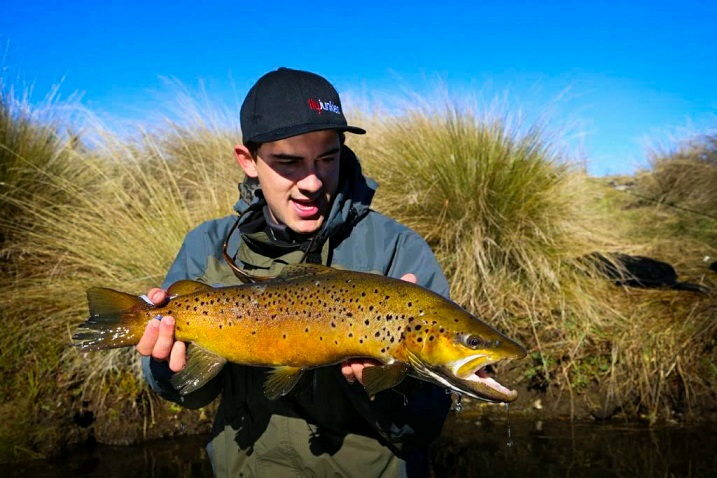 trolling close to the banks has been good with some browns still hanging around best areas are Buckenderra, seven gates, Rushes Bay, Braemer bay best lures are long body Minnows, yellow wing Tassies, and sting lures. Jindabyne has been doing ok up around Kalkite, snowy arm, Hay shed bay and around the town. 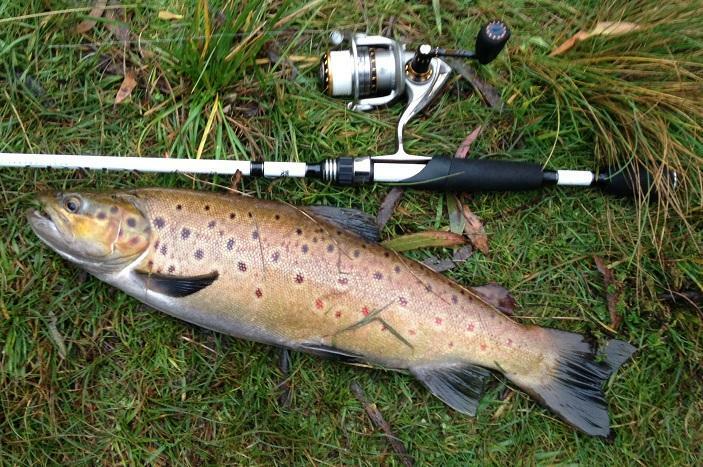 best lures are stings, Blades, and pink Tassie Devils moost people are doing better up at Kalkite up into the Eucumbene river with some good Browns around 3lb or more. When spinning off the Banks jindy and Euc are much the same Tassie Devils and Blades have been good. 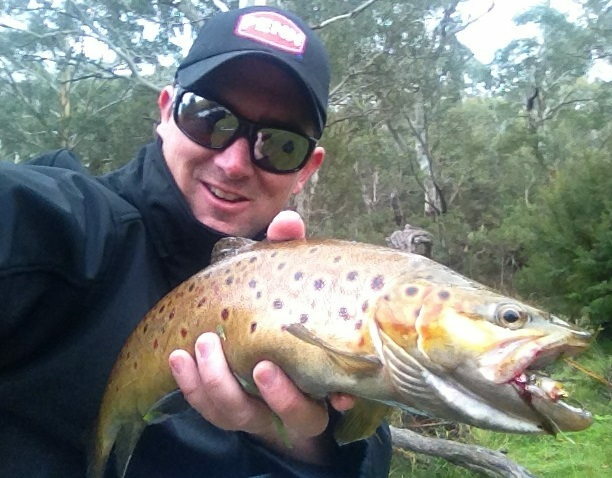 both lake have been a little slow over the last two weeks but now things are picking up the worms are still the stand out bait at the moment at Jiny with some very nice browns been Caught. With the power bait most orange and pinks have been good. 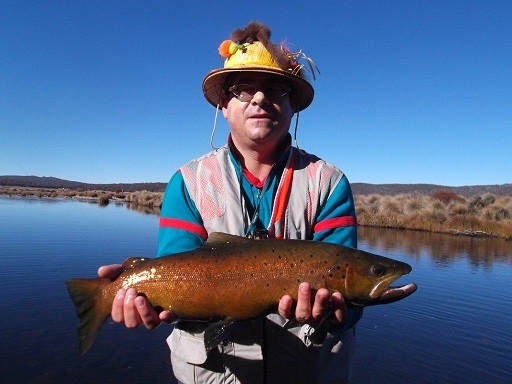 At Eucumbene Buckenderra has been fishing well past the cattle yards with power bait being the best Orange, sherbert, chunky cheeces and rainbow just ask Ken Cain he is the power bait King!! 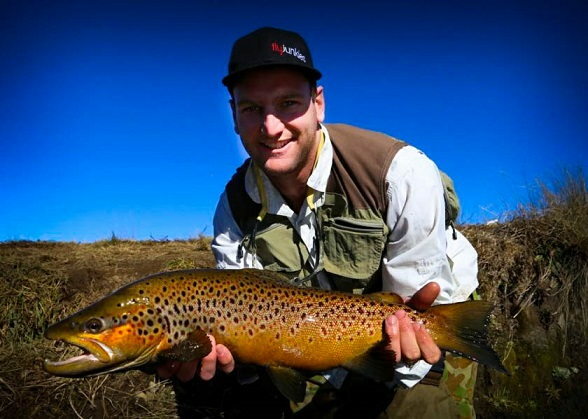 Worms have been every good on the Browns around Rushes bay, seven gates, Braemer bay. Don't forget try fishing the worms under a bubble it's working well. ""Try the new Catchall Crawler Worms not bad""